THURSDAY, April 5, 2018 (HealthDay News) -- In search of a cosmetic surgery procedure that might be less costly than the going rate in the United States, a 43-year-old woman traveled to the Dominican Republic for a "tummy tuck." What she got, instead, were massive open sores and an antibiotic-resistant infection that ultimately left her with a deformed abdomen. And hers is a story far from unique. Medical experts say it should serve as a cautionary tale for Americans who head abroad for cheaper plastic surgery, only to find they're rolling the dice when it comes to their safety. The reason? Complications and rare infections resulting from subpar care delivered by some poorly qualified and under-regulated out-of-country physicians and facilities. "We studied cosmetic procedures, those not covered by medical insurance," explained study lead author Dr. Dennis Orgill. "People are motivated because of cost, and in some cases because of cultural issues. There are many websites that advertise for these procedures. And the initial costs for these procedures in developing countries is substantially less. "Some surgeons in these countries are excellent," Orgill added, "but sometimes it is hard for patients to tell the difference by looking on the internet." And it's that inability to properly vet international services, providers and regulations that ultimately gives rise to "a large public health issue," he warned. Orgill is medical director of Brigham and Women's Hospital's Wound Care Center in Boston. He and his colleagues discussed their findings in the April 2018 issue of the journal Plastic and Reconstructive Surgery. Following several cases of botched plastic surgery in the Dominican Republic, the U.S. Centers for Disease Control and Prevention and the U.S. State Department issued alerts warning American patients to steer clear of that country. That concern was confirmed by the recent review of 78 patients (nearly all women) who had sought care at Brigham and Women's following plastic surgery performed abroad between 2010 and 2017: three-quarters had undergone procedures in the Dominican Republic. The review also identified other problematic "medical tourism" destinations, with Colombia and Brazil topping a list that included Mexico, Venezuela, Argentina, El Salvador, China, Syria and Turkey. All the patients were American residents (average age 43), although many had been born in the country they chose to return to for surgery. More than 60 percent relied on Medicaid as their American insurance. About 45 percent had undergone a "tummy tuck" (abdominoplasty). A third had gone in for a breast enlargement. Other procedures included a breast lift or reduction (17 percent); liposuction (13 percent); or injections of foreign substances such as silicone (nearly 20 percent). About a quarter underwent multiple procedures. Following the procedures, nearly 10 percent of the patients sought corrective cosmetic surgery at Brigham and Women's. About 18 percent had serious infections; 18 percent had persistent pain; 8 percent had scarring; 15 percent had unhealed wounds; and 5 percent had internal scar tissue in their breast. Other issues included hernias, perforated bowels and ruptured implants, the review authors said. Eight patients had to undergo emergency procedures in the hospital's emergency room. One 59-year-old woman experienced kidney failure and developed multiple hernias following abdominal liposuction, also done in the Dominican Republic. Orgill and his associates concluded that the American College of Surgeons and/or the American Society of Plastic Surgeons (ASPS) may have to develop guidelines to tackle the issue of plastic surgery tourism. Such guidelines do not yet exist. Dr. Jeffrey Janis, president of the American Society of Plastic Surgeons, stressed that when seeking plastic surgery, it's important to vet both the physician and the facility. "The ASPS does not allow you to become a member unless you've passed a rigorous training program by the Board of Plastic Surgeons, which attests to the fact that you've been well-trained and can safely practice plastic surgery," he said. "So if you go outside the U.S. you really should seek someone equally qualified. "And you also don't want plastic surgery done in a barn, a basement, a tent," Janis said. "I'm not making those scenarios up. It happens." Janis added that "that is not to say that if you travel outside the borders of the U.S. that you're taking your health into your own hands. That's not fair. 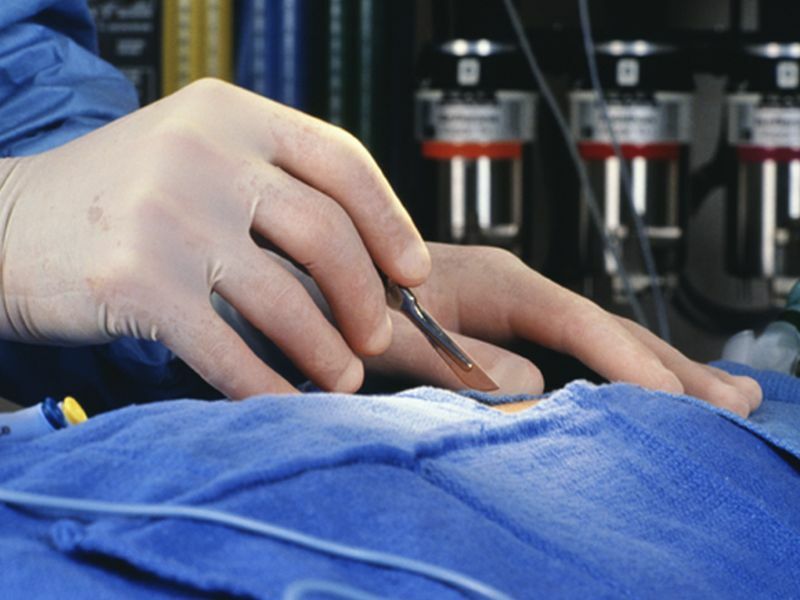 There are plenty of very qualified doctors around the world who can perform procedures. The issue is, has the patient done their homework so they know what they're getting into?"